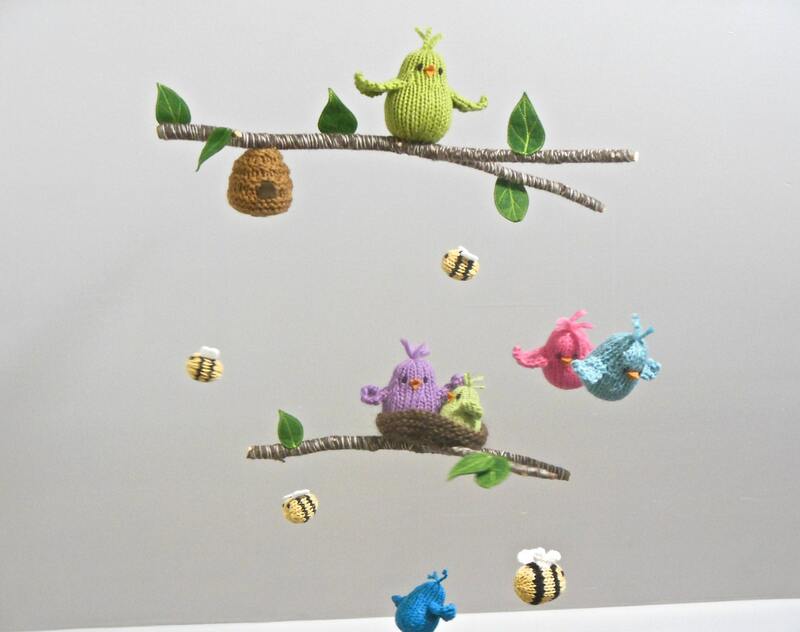 Fill your baby's nursery or playroom with colorful happy creatures. 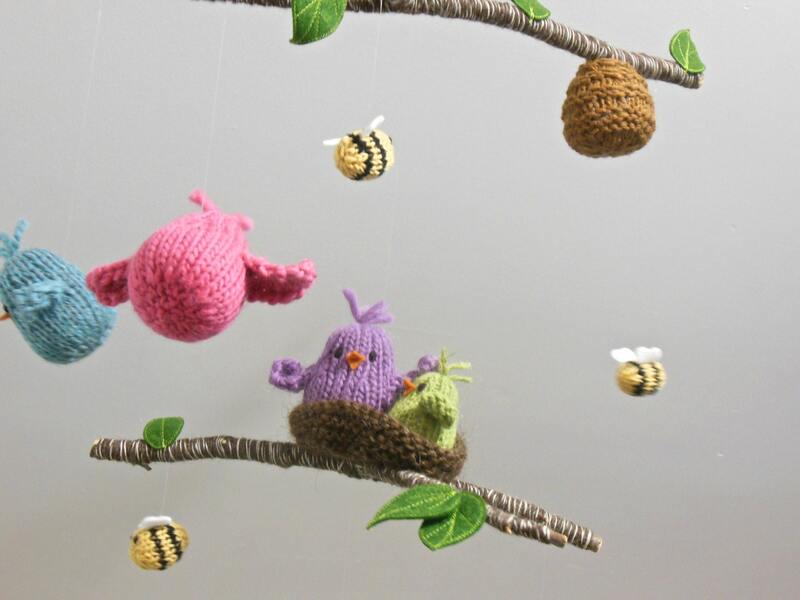 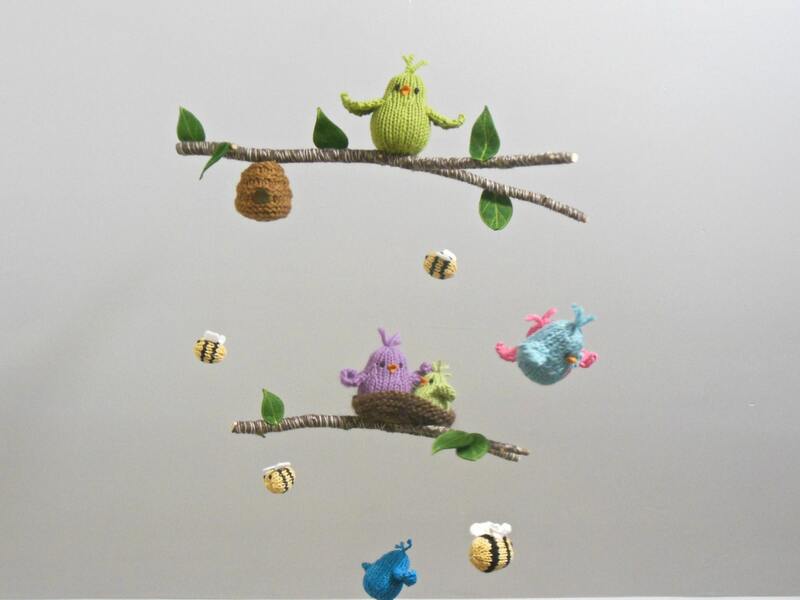 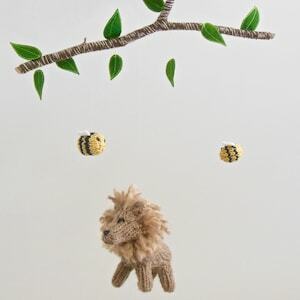 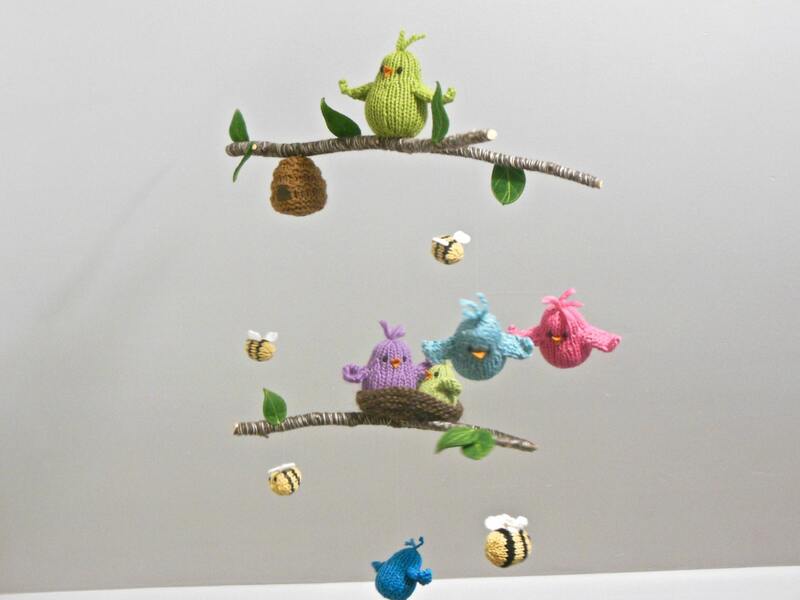 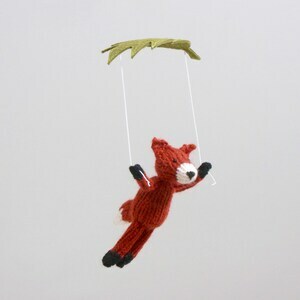 This happy birds and bees multi-tiered mobile spins and spins and will surely delight your little one. 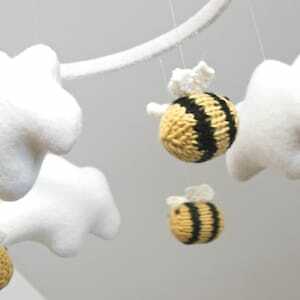 It measures 17" across with a drop of 18 inches. 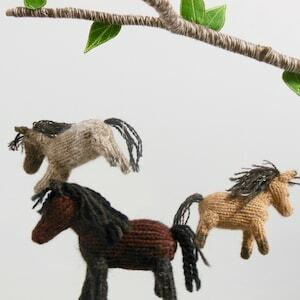 ~ Length = 2.75 inches approx. 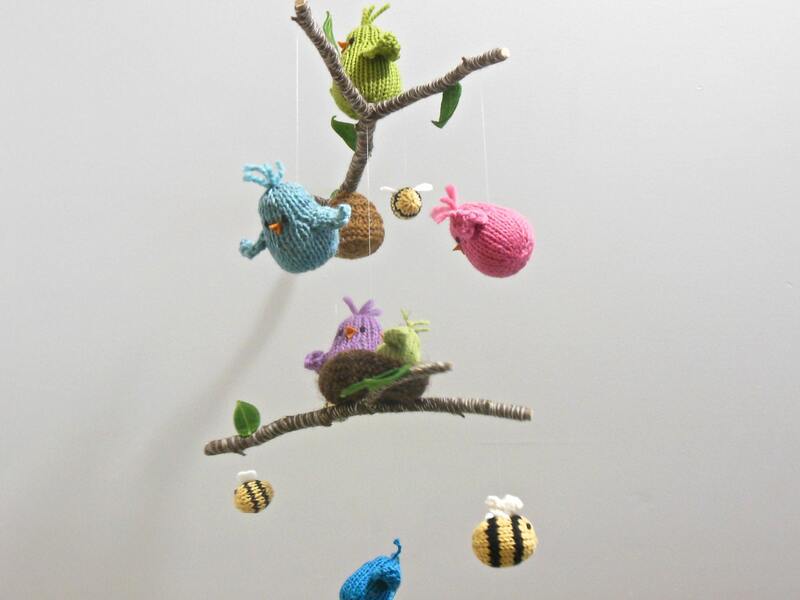 ~Top Branch = 17" in length approx.